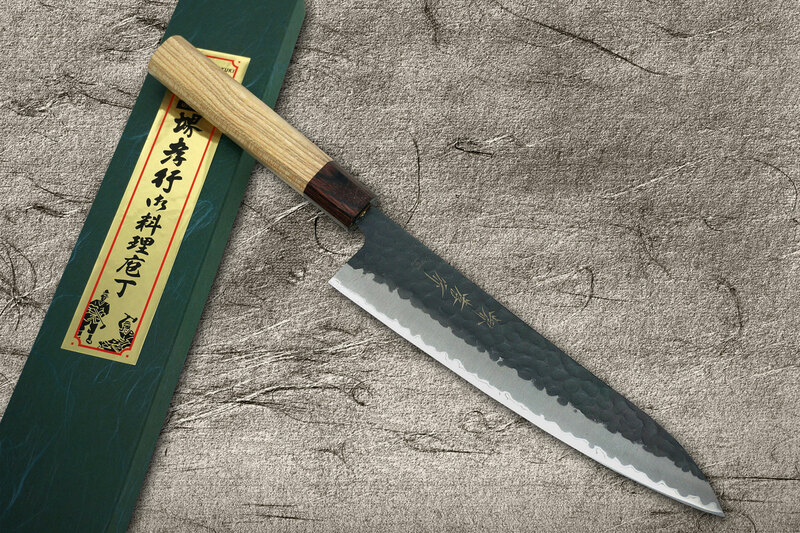 We’re pleased to announce to you the beautiful Aogami Super Kurouchi Hammered series by Sakai Takayuki has newly in stock ! 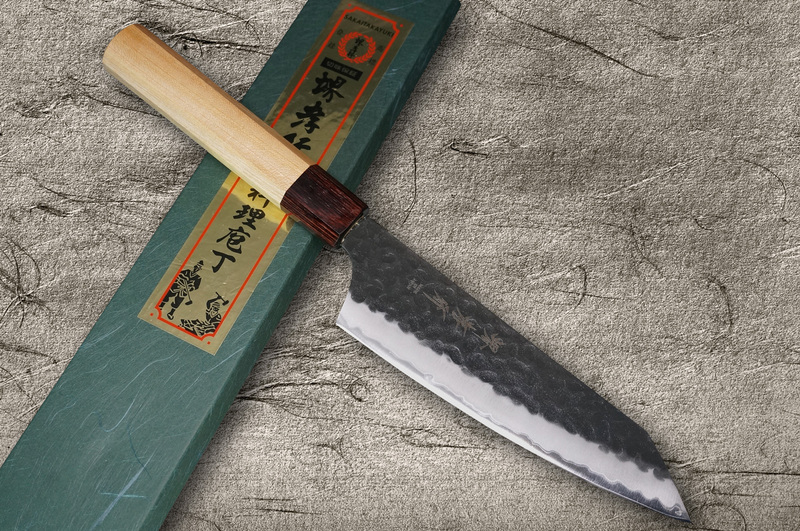 This Sakai Takayuki Aogami Super Clad Kurouchi series feature beautiful KUROUCHI(Black) Tsuchime finished texture with a core of Blue Paper Super (Aogami Super) Steel with a better hardness of approx.65 HRC, which provides excellent edge retention. The handles on these knives are Half Rounded Octagonal Japanese Zelkova wood that recalls the images of Japanese tradition. The ferrule/bolster is made of mahogany wood ,more durable and less prone to cracking compared to horn material. Sakai Takayuki Knives has been cultivated through a long 600-year history. Each knife is hand sharpened to ensure maximum sharpness out of the box. We highly recommend you to once experience the excellent performance and beautility of the knives. If you have any question, please feel free to contact us anytime. Thank you for reading and best regards! that is the soul of the cook!